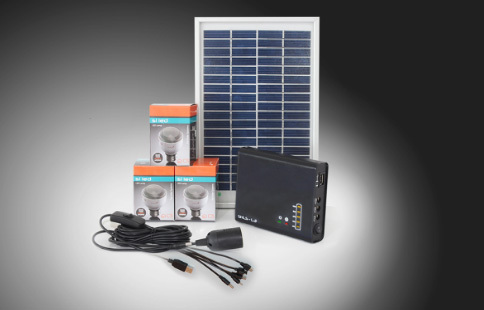 Solar Home Lighting System SHLS-L2 | Deshmukh Solar Energy Pvt. Ltd.
USB output to charge Mobile, MP3, and Etc. Electronic Protection PV Reverse polarity, Reverse current flow at night, Surge Transient, Load short, over current, High and Low voltage protection at battery side. Accessories Panel with cable - 1No, DC LED Lamp 1.5W - 2 Nos, E-27 Lamp holder assembly and mobile charging connector - 1No .